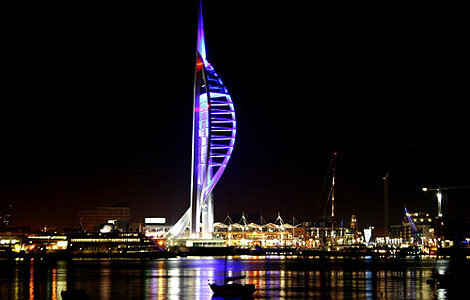 Portsmouth: Also known as Pompey (although no one knows the official story why) this town boasts a ton of literary giants including Charles Dickens, Arthur Conan Doyle and Rudyard Kipling. Residents can now listen to their classics downloaded as audiobooks over superfast 4G. Bournemouth: The home of sandy beaches, surfing, and the scene of the Beatles second album cover (taken at the Palace Court hotel). In fact, after Liverpool and London, Bournemouth is where the Beatles played the most concerts. Music fans can now listen to John, Paul, George and Ringo (or whatever the kids are listening to these days) streamed over glorious 4G. Reading: Are you avin a laugh? Ricky Gervais is from Reading. Actor, director, producer, musician, writer, and former radio presenter, this man can do it all. And locals can now watch their favourite bits from The Office, Extras, and Derek streamed online, with no buffering, thanks to 4G. Southampton: This city’s most famous musical export, Craig David, had a hit single called ‘Walking Away’ – a bit like what all the best footballers from Saints have done this season. The good news is Southampton is rebuilding the team with great players like Shane Long, and Saints fans can now watch their new-look team from the palm of their hand, wherever they are with 4G. The folks in Didcot, Ossett, Carterton, Whitefield, Poole, Royal Tunbridge Wells, Mosborough/Highlane, Knottingley, Castleford, Stroud and Royal Wootton Basset can also use 4G to download music, stream videos and play games faster than ever before. Do you have any fun facts about our newest 4G areas? Let us know by leaving a comment below.